The ETH Library is the main library of the ETH Zürich. Furthermore, it serves as Switzerland’s central information facility for technology and the natural sciences. In addition to current scientific literature and extensive electronic resources, the ETH Library also holds valuable cultural material pertaining to the history of science in its Collections and Archives. Thus, in addition to the institutional records of the ETH itself, the ETH Zurich University Archives also hold personal papers and autographs of numerous former scientists, lecturers and students. 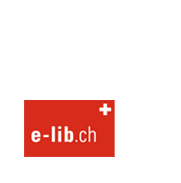 The ETH Library will present a selection of material from this archive on e-manuscripta.ch, for the benefit of researchers in the fields of social history, the history of technology and the history of science.